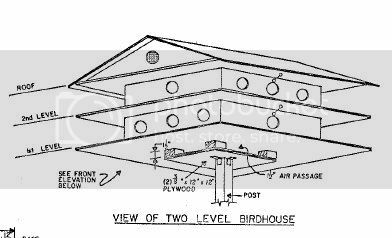 The Tool Crib – 19 Birdhouse Plans: Bluebird Boxes, Multi-Level Martin Homes and MORE! Your feathered friends – and all those people on your Christmas list – would love for you to prove your woodworking prowess and justify all that time you spend in the shop with a cozy birdhouse! 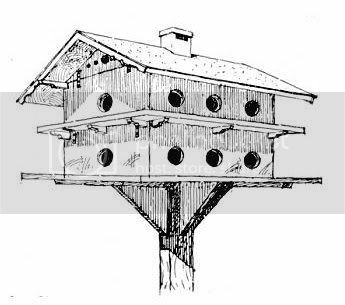 This collection of free bird house plans goes from basic to obsessively decorative, and everything in between. 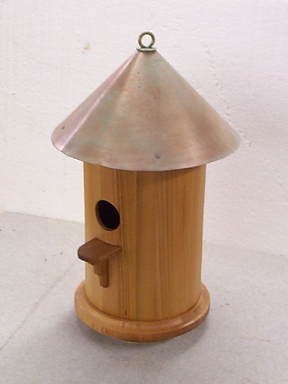 And if you’re looking to squeeze a little extra green out of your shop time, birdhouses are among Joe Trueheart’s 12 most sellable woodworking projects. You can’t go wrong with the basics. Usually. These birdhouses are great afternoon projects or even high-production projects for entrepreneurial woodworkers. Like birds with fine plumage, these extreme birdhouses will cause people to “ooh” and “ahh” when they walk through your garden. My neighbors fed meal worms to bluebirds from their hands. 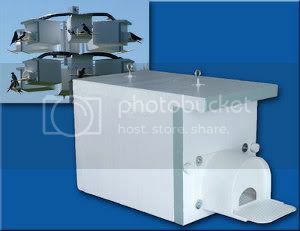 Bluebirds win popularity contests every time, and you can’t go wrong with the simplicity of a bluebird box unless you live in certain parts of Kansas. Purple Martins look like a labor of love to me. 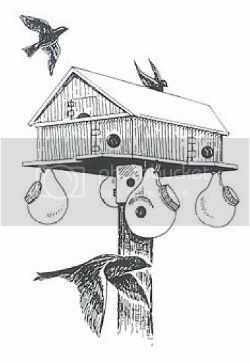 Here’s a guide to attracting and maintaining purple martins, or, becoming a “purple martin landlord” as the enthusiasts call it… Here’s a great blog for purple martin lovers, also where I found these Purple Martin house plans. Every birdhouse he builds gets a little mini birdhouse. Nifty. Maybe a bit too extreme. You decide. 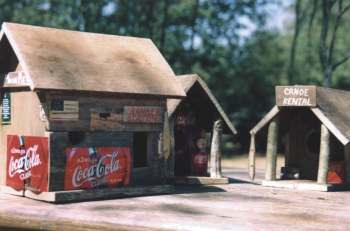 If you want to see real birdhouses just Google (Extreme Birdhouses by john in cranbrook ). These bird boxes are just that !! bird boxes . Well John, some of them are boxes, but some of them are a bit more extreme. 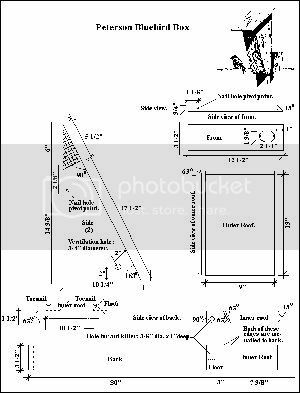 Also all of the plans on this page are free. Thanks for stopping by though – I do like the looks of your bird houses! Sorry for the message but this other guy who calls himself the extreme birdhouse builder is merely a birdhouse builder , There is nothing extreme about his work . I see what you’re saying – and I agree. Compared to yours his are pretty far from extreme. Let me know if you put up any videos and I’ll add yours to the list so long as it’s a how-to :) Seriously – your work is clearly EXTREME. Thank you ! I will be sure to send you a link when i do a HOW TO video . I’ve always been a birdhouse fan. Thanks for sharing all these plans. I’ll stick with the simple ones but its amazing what folks come up with. Thanks for stopping by! 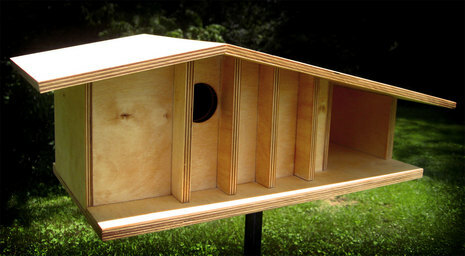 If you build a bird house please post photos and come back to this comment thread to add a link! Can someone explain the line “except in certain parts of Kansas.” I live in Kansas and would like to build some birdhouses with my daughters and am trying to determine what type of house and bird to attract. 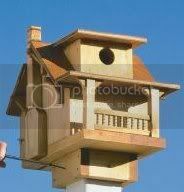 I have great fascination for bird houses. From all different designs of birdhouses here I am impressed by “Mid-Century Modern Birdhouse”. I have go through the link. But I need more information. Please help me. Great info on this site. Thank you.